Textured Fortrel, lightweight, polyester-linen weave. Ample Cut (60" W x 52" L). Available with embroidery on the front and back, or front only. 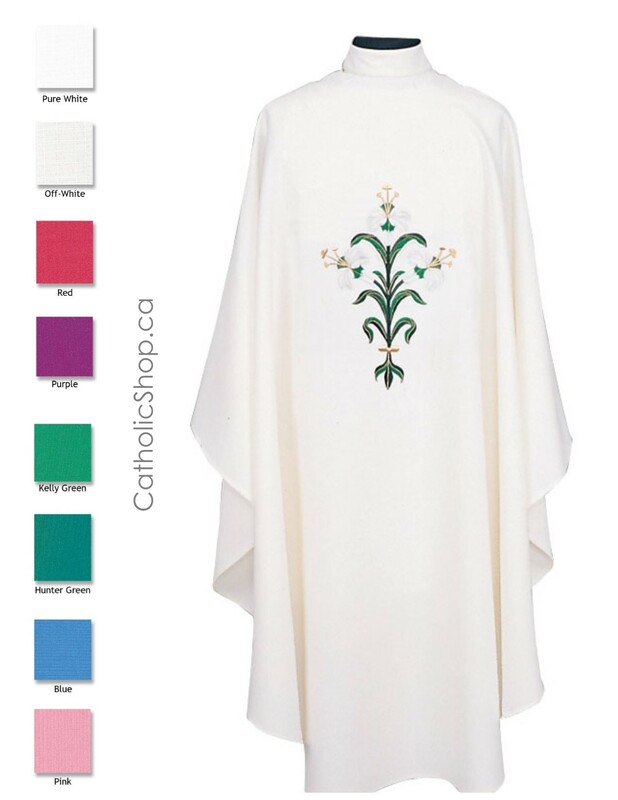 This Chasuble comes complete with a beautiful Multicolour Swiss Schiffli Embroidered, Self-Lined Stole. 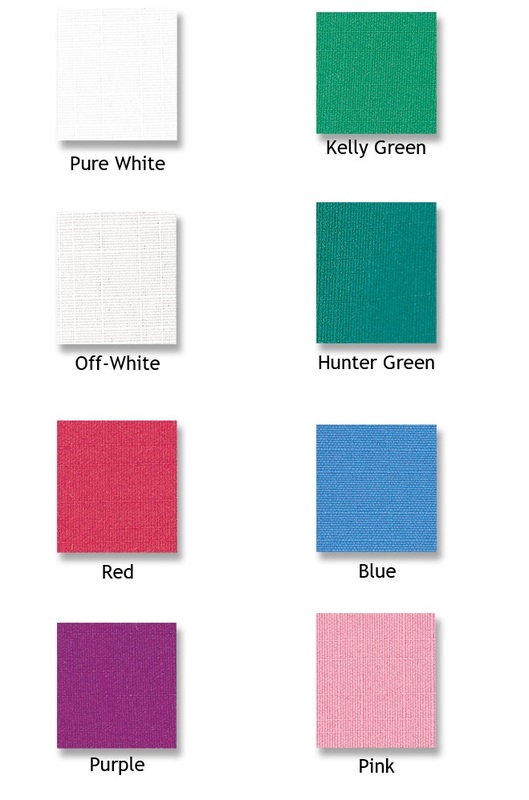 Choose from eight different colours!